The Duke Street civil rights march on October 6th 1968, the death of Samuel Devenney, after being beaten at his home by the RUC in April 1969, and the Battle of the Bogside later that year, were cumulative and transformative moments in the history of Derry. They also changed the lives of the people of Derry and the North and especially of its young people. 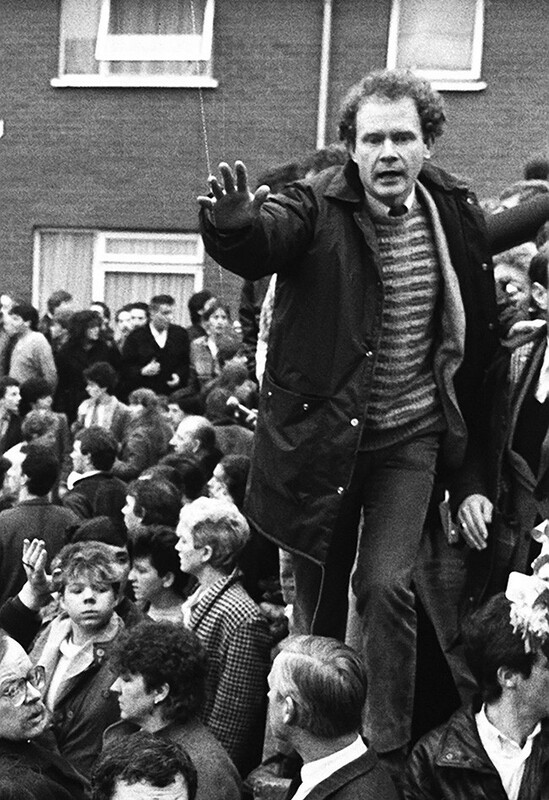 Like many other teenagers that year in Derry, Belfast, Newry and other parts of the north, Martin McGuinness’s life was suddenly upended by a political crisis created by partition 50 years earlier. The apartheid system of injustice and inequality that was the north’s Orange State was being challenged by nationalists fed up with being treated as second class. 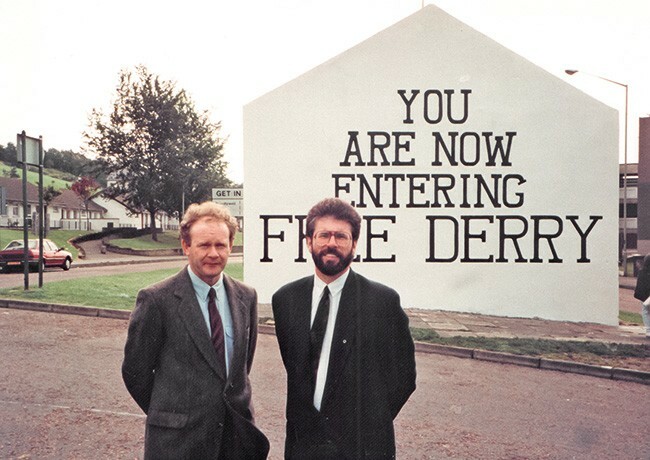 Three years later as we prepared to travel to London for secret meetings with the British government I met Martin behind the barricades in Derry. Those were different, more difficult days. The conflict was raging. Internment was the order of the day. Bloody Sunday had taken place only months earlier. The shock and anger among nationalists was still palpable. The Bogside and Creggan were under siege from the British Army. In these circumstances most people, including a 22-year-old working class lad from the Bogside, could have been forgiven for feeling stressed and anxious - but not Martin. He was in control – calm, confident, a natural leader – wanting to talk about how we should approach the upcoming engagements with British Ministers – our agenda, proposals, bottom line. In the 45 years since then Martin never changed. He was insightful and shrewd. He could read a situation better than most and had a way of getting to the heart of an issue. 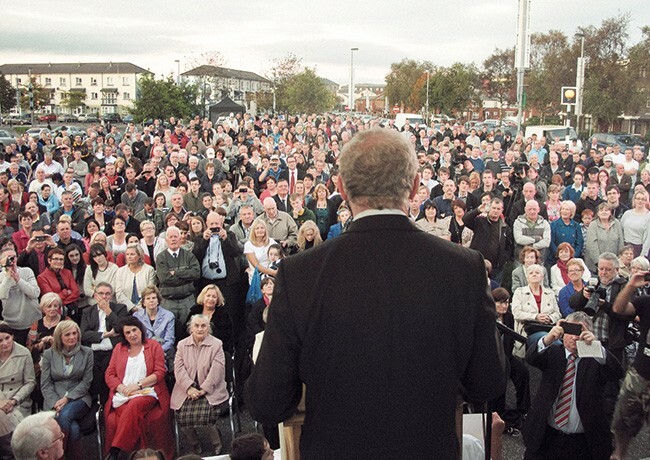 Whether it was canvassing for votes in elections in Mid Ulster or the Presidential campaign, or meeting constituents or political opponents, Presidents and Prime Ministers, Martin had that unique ability to engage at a personal human level. They might not have agreed with his politics but they all came to respect him. Even before he entered into the Office of First and Deputy First Ministers with Ian Paisley, Martin understood the importance of reaching out to our unionist neighbours. As the Minister for Education he reached out beyond the nationalist constituency. He fought for every child and every school without favour. His decision to end the 11 plus system was a visionary step which remains the only way forward for an inclusive, equal educational opportunity for all children. Along with Ian Paisley, and then with Peter Robinson and Arlene Foster, Martin tried to build a new society in which everyone is equal and all opinions are valued. He was a united Irelander but he also understood the imperative of reaching out the hand of friendship to our unionist neighbours, even when they refused to take it. He wanted to understand what they meant by their sense of Britishness. On one occasion Martin was part of Sinn Féin delegation that travelled to South Africa with unionist leaders to meet with President Mandela and other ANC leaders. They were there to learn from the South African process of reconciliation and negotiations. The unionists refused to talk to the Sinn Féin group. They refused to share the same social facility. They astounded their ANC hosts by refusing to meet Mandela with Martin. They also rejected the joint travel arrangements the ANC made for a break in the meetings to travel to the southernmost tip of South Africa. This was post-apartheid South Africa and unionism was behaving like the old South African National Party. Martin was never fazed by any of this. He understood that unionism’s siege or laager mentality was a consequence of our shared colonial past. Unionism fears compromise. It believes that saying yes could be another step toward a united Ireland – even if that yes is to arrangements that would work for everyone. But Martin never gave up. Before and after the Renewable Heat Incentive scandal Martin was looking for ways in which to persuade the DUP to take the sensible steps needed to restore confidence in the political institutions. When it became obvious that wasn’t going to happen Martin recommended to the Sinn Féin Ard Chomhairle that he resign from the office of First and Deputy First Minister. Even then, although seriously ill and against my advice and that of other comrades, Martin believed that he should travel to Parliament Buildings and tell Arlene Foster face to face what he intended to do. It was a mark of his strength of character and his belief in being straight with those he worked with that he made that difficult physical journey. 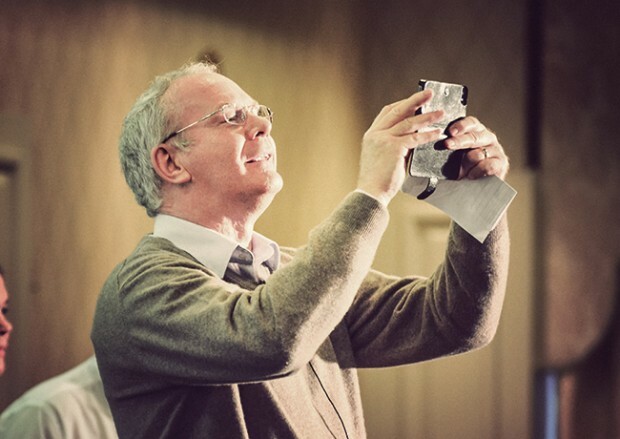 Martin McGuinness was a good friend and a great leader. He made compromises where he believed they could help peace and reconciliation. He never stopped taking risks for peace. A year after he left us we still mourn and miss him. But I know if he was here now Martin would be the first to tell us to give ourselves a good shake. Our responsibility is for the future. And whatever the recent difficulties we have to bend our minds and will to finding a way to shape that future so that everyone has a share in it.